One of the things that is both the simplest thing to do and yet can also be the most time-c0nsuming if you let it (and that is far too easy!) is changing your WordPress theme – the design. Sometimes I wish it was less easy to actually do because most of us spend far more time than our business allows for seeking out the best theme – think kid in a candy store with some people (sideways look at Sarah 😉 ). If you’re not careful you can spend hours (really!) looking for themes that take your fancy, and often it makes a lot more sense to just choose some, load them up and see how they work with your particular needs. You may even find that early choices work perfectly well for you. Having said that, it took me a while to settle on this theme for the Blogmistress. We first thought we’d go “naked”, with a plain Thesis theme, while we branded the Blogmistress (Sarah is having fun making Thesis bend to her will). 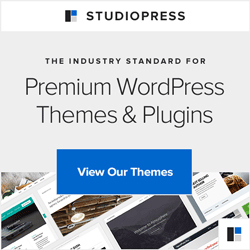 But then I wanted to subscribe to the iThemes premium themes, partly for their Builder theme that we can use to good effect for clients, and tried out the Flexx theme – which grew on me very quickly. Free themes can work really well too – there are plenty available that will suit you just fine, that work well. We’ll explore some of the best next week as well as consider premium themes and other aspects of WordPress design. So for now, in our shiny new clothes, back to work !